In many cases, colorectal cancer can be prevented. Still, it’s one of the 5 most common cancers in men and women in the United States. Colorectal cancer is also one of the leading causes of cancer death in the United States. 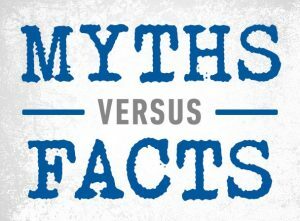 Don’t let common myths stop you from getting the life-saving screening tests you need, when you need them. Truth: In many cases, colorectal cancer can be prevented. Colorectal cancer almost always starts with a small growth called a polyp. If the polyp is found early, it can be removed – stopping colorectal cancer before it starts. These tests can find polyps: colonoscopy, flexible sigmoidoscopy, double-contrast barium enema, or CT colonography (virtual colonoscopy). Talk to your health care provider about which test is best for you. Get to and stay at a healthy weight throughout life; stay lean without being underweight. Be physically active; limit the time you spend sitting, lying down, watching TV, etc. Choose whole grains over refined grain products. Limit the amount of red meat and processed meat you eat. If you drink alcohol, limit the amount to 1 drink per day for women, 2 per day for men. Truth: African-American men and women are diagnosed with and die from colorectal cancer at higher rates than men and women of any other US racial or ethnic group. The reason for this is not yet understood. Truth: Most colorectal cancers are found in people age 50 and older. For this reason, the American Cancer Society recommends you start getting checked for this cancer when you’re 50. 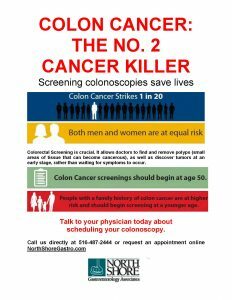 People who are at a higher risk for colorectal cancer – such as those who have colon or rectal cancer in their families – may need to start testing when they are younger. Ask your provider when you should start getting tested and how often you should be tested. Truth: Colorectal cancer is often highly treatable. If it’s found and treated early (while it’s small and before it has spread), the 5-year relative survival rate is about 90%. But because many people are not getting tested the way they should, only about 4 out of 10 are diagnosed at this early stage when treatment is most likely to be successful.